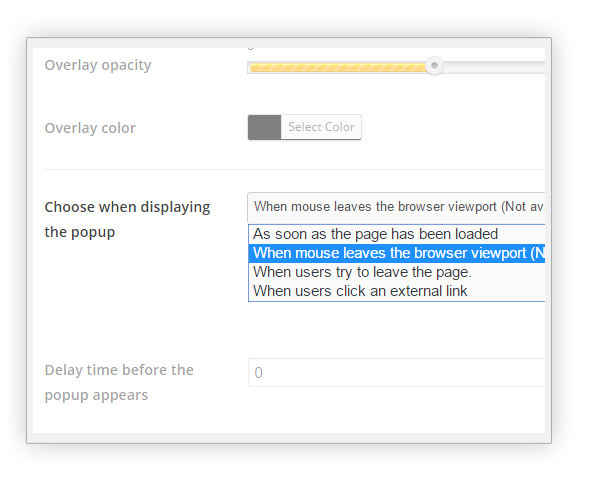 All people active in the web know advantages of using popup windows. 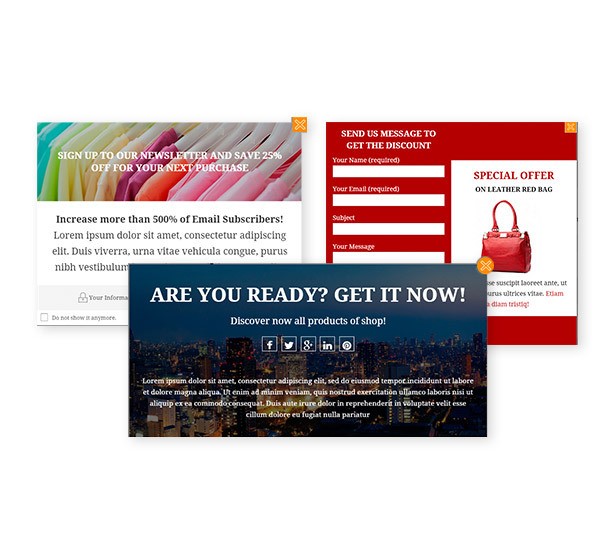 A popup window dramatically increases the visibility of what you put in it, the conversion rates of users who see it and allows you to get instant feedback from your users. Use them in a non-intrusive way and they will turn out to be one of the most powerful marketing strategies to increase sales in your store. Put there a contact form, a newsletter form, suggestions, and even products. 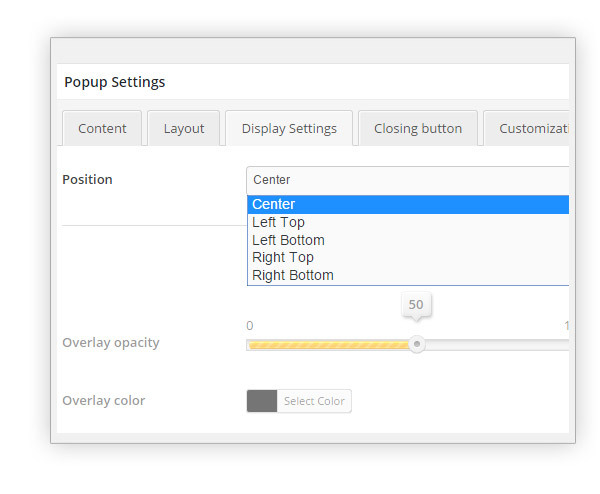 Choose the page and the position where showing your popup and, which is even more interesting, make this plugin interact with WooCommerce plugin, so that you can show in popup window a specific product, a random one, one from a category and so on.  Add the most suitable contents: social network profiles, a contact form, or just a simple message. Choose the best position for your strategy. Set the timing for display it without any restrictions. Good! !Good plugin, is helpful and captures all the customers' attention pretty well and fast. you can choose when to show it and where. Thumbs up! Easy plugin, would love to see moreThe plugin looked promising, and it does do the job. But it is in the end a very simple plugin, I am happy with it but would have loved to see it be more dynamic, to see the changes I make directly instead of constantly using the preview button. Thank you for taking the time to write this review. Good to read that you are happy and suggestions and ideas are always very welcome. We will certainly take note of it and study the possibilities. 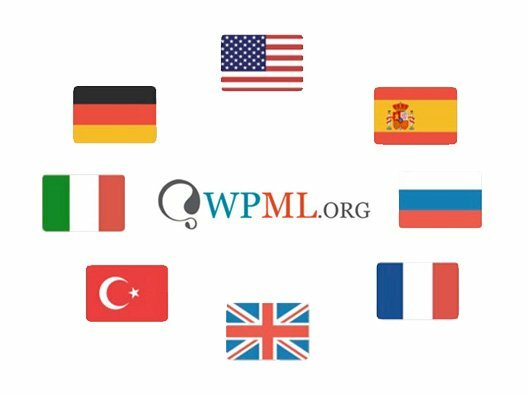 Great support!This plugin works great. There are many ways to use it if needed. If you run across any issue, just contact support- they are extremely helpful! Nice and simple pluginFollowing the steps in the documentation I was able to set up the plugin quite quickly. Simple plugin and useful to gather customers email with their consent. Hi there! 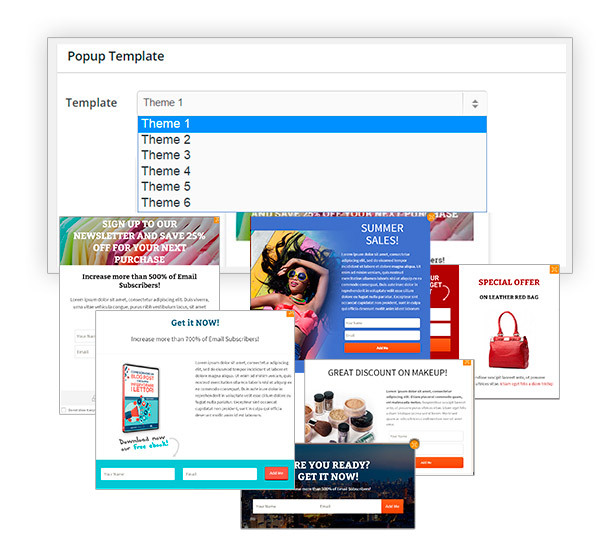 The plugin allows creating different popups with different contents and you can decide where to show them (for example, on a specific product page). Since the plugin doesn't manage the form, you should use an external plugin such as Contact Form 7. You must set the recipients of the email for each form manually. No, the user should click on the checkbox to hide the newsletter until the cookie is valid, check this page. The plugin is not tested with that version of php. You can buy the plugin, and if there are any issues with php 7.2.5 we can fix them. Answered by the admin Hello Abdelouahab, unfortunately, the plugins are not integrated and there's no shortcode that can do that, I'm sorry about that.